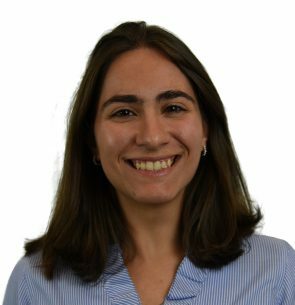 Nina Sinatra is a doctoral candidate in Materials Science & Engineering at Harvard’s John A. Paulson School of Engineering and Applied Sciences. Her research focuses on the intersection between mechanical and chemical properties of polymer nanofibers. Nina is designing novel methods to fabricate strong nanofabrics by understanding how nanoscale features can be used to tune properties at the macroscale. Prior to joining the Disease Biophysics Group at SEAS, she completed a fellowship at the Max Planck Institute of Polymer Research, and internships at the U.S. Army Corps of Engineers and the MIT Institute for Soldier Nanotechnologies. Nina holds a B.S. and an M.S. in Materials Science & Engineering from MIT and Columbia University, respectively. She has been awarded research fellowships by Harvard and Columbia, and is a member of the Sigma Xi Scientific Research Society.